Everton are magnanimous in victory. For once i agree with Mugabe who has made the most important statement concerning the Everton affair. GMFC must start to dominate CAF. Lay the structures Jakom, “confidence” is not going to be enough. Player quality is a key ingredient. All the best against M.Y. I agree with Jack Oguda about the state of our football pitches.It’s true you cannot play good football in some of our so called stadia . The government should do something about that issue..especially the county governments! This is what I want to hear of my beloved kogallo, not some silly and stupid inferiority complex remarks that potray us negatively to the rest of the world. On playing surface,Sportpesa had to ship in Pitch makers from England for the National stadium. Our Nyayo should be better;let us pray for Chan because it will give us quality surface. Who has seen that Kasarani surface;is it world class now as seen on TV? In furthering the positives that I took from the game , I wish to dwell on remarks by Ronald koeman, Ambrose Rachier and Coach Dayan Kerr , I prefer not to delve into the Jack Oguda remarks bcoz the issue of playing surfaces is without our control. Ronald Koeman , who I would rank as one of the most respectable coaches currently says that he was impressed by our technical n tactical capacity , That is true and very inspiring moreso bcoz its true , but he goes ahead to say that we dropped our intensity , now this was and not only in this game been the frustrations I have seen in kogalo for quite sometime and its the fundamental difference between the Nattal coached side to the present. We lack the mental strength to be at 100% concentration for 90minutes and as time continues to move , our enforced errors pile , this is not a mere consequence of phisical inadequacy but has a lot to do with mental deficiency within the context used. Am not competent enough to offer a solution on this but I pray that the experts will have a look into that . Secondly n this was obviously seen even by the non technical eyes , Coach Kerr expressed his frustrations at the extremely unnecessary holding of the ball for non rational reasons , the continous loss of possession in dangerous places by our defenders , Long ball transition from the back to nobody esp by Shakava , but the good thing is that he , the coach took note of it and going fwd a reduction of this wasfulness will denote a massive leap in that aspect. One player though that I must mention is this Boy Timothy Otieno , this boy has a tankful of potential and what this boy needs is a coach who can turn those weaknesses he has to strengths , then he can be our Marc Overmars , this will also denote the quality of kerr , the ability to maximise players potential. Finally am glad that our chairman A.Rachier also noticed the massive marketing boost this game gave as and that it puts as in good stead as we march into Africa , good remarks indeed but for that to happen , a lot of things must happen since marketing is a deliberate effort with Strategies n tactics put in place to achieve specific outcomes , Outsource the marketing aspect to a respectable firm since such capacity cannot be found within going by how we elect our officials. Nb: On many occasions I have had reservations about our Nyangi and this wont go away but her decision to publicly name the Gor ” fans” who mindlessly smashed the windscreen of another Gor fan when we played in Thika was a step in the right direction.Putting their names in the newspaper was a step in the right direction and its such foolish hooligans that keep 80% of Gor Fans from attending games , I started attending Gor games with my Grandfather n mother just like I see happening abroad , but something has changed n we must change it. 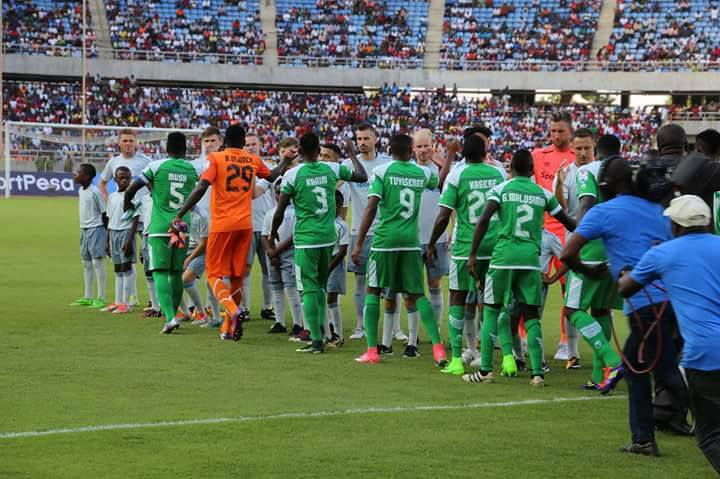 Who in the current Gor formation would find a number in the Gor class of ’79 that had the Likes of Sammy Owino kempes , Nahashon Oluoch Lule , Allan Ogango wuon Pap Thigo , John Bobby Ogolla , George Best Yoga , Ogolla Kadir or the Gor class of ’87 that had the likes of Sammy Onyango Jogoo , Peter Omuga Dawo , George Onyango Fundi , Kamoga Jagoal , Abbas hamisi Magongo , Charles Engine Otieno , Tobias Juakali Ochola , Peter Otieno Bassanga etc… I ask this to figure out whether we are progressing or digressing and also to point out that all these were players from within our borders and that their are many more where such came from. The question then arises vis a vis our scouting n recruiting policy , what were we doing then that we are not doing now , I ask this alive to the changed dynamics between now and then. 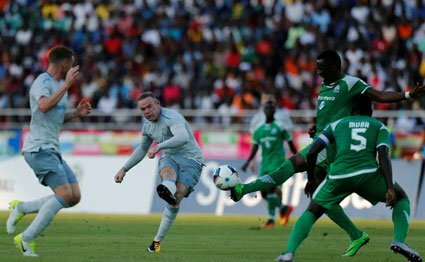 Gor Mahia FC head coach Dylan Kerr has revealed that Everton boss Ronald Koeman advised his side to attack quicker and move forward always. Some good and much needed advice. I hope it will be listened to. I was almost posting the same…when we decried the culture of endless backpass football, we were told off that was tiki taka…Now Ronald Koeman, world acclaimed player and coach seconds……!!!! Ronald Koeman, a man whom during his heydays was reputed as “The Player with the hardest shots in the whole of Europe”, is just being polite. In other words he is saying that he found the back passes disappointing and at times unnecessary.